Conservatorship, Trust or Estate Plan | Which is Better? You are here: Home / What is a Conservatorship and the Probate Process? / Conservatorship, Trust or Estate Plan | Which is Better? Jennifer F. Scharre, probate attorney, discusses when a conservatorship becomes necessary, the importance of having a trust, and how having an estate plan eliminate the need to establish a conservatorship. Many clients ask me when they first walk into my office which direction they should go. Should they go the estate planning direction – create some durable power of attorney documents, advanced health directive or trust – or do they need to go the conservatorship route? That really depends on the capacity of the individual you are working with. If someone has the capacity and is able to execute estate planning documents then a conservatorship may not be necessary at all. Unfortunately, in my practice often times people are in a position where they are only seeing my services because we have gone too far down the road of incapacity and drafting documents at that point would not be appropriate. When that happens you do have to go to court for a conservatorship. But, there are opportunities for the court to actually create a revocable living trust for that client even though they are conserved at the time. This is absolutely at the discretion of the court and whether they believe it is in the person’s best interest. One reason this could be good is there is less supervision, less court time and fewer people involved. Where there is a functional family and maybe some simple assets – this may be an appropriate measure for the court to take. Other times, where there are lots of challenging family dynamics the court may want to retain jurisdiction over this estate and won’t necessarily permit one to create a revocable living trust after the conservatorship has been initiated. The key is it’s always the court’s determination of that person’s capacity. Conservatorships are very broad in that the court can order a variety of relief. They can say that someone does still have the capacity to execute estate planning documents but potentially those documents have to be approved by the court or they could say that someone has no capacity to make any decisions in their life and that the conservator is appointed for all of those decisions. When you are looking at a conservatorship proceeding, you want to be clear on what is the range of what you need in order to assist your client. To learn more, watch Jennifer’s video discussing the difficulties of a conservatorship. Jennifer F. Scharre is an attorney at the San Jose law firm, Temmerman, Cilley & Kohlmann, LLP. She provides representation in estate planning, conservatorship matters, guardianship matters, and trust and estate administration and litigation. Jennifer may be reached at 408-290-7210 or www.tcklawfirm.com. 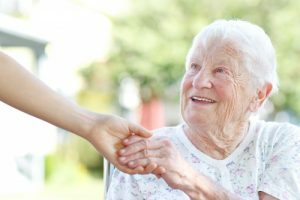 Simply stated, a conservatorship is when the court appoints someone, usually a family member, to manage the physical care of a person who is unable to care for their self. It could mean appointing someone to manage a person’s finances because the person is unable or incapable of doing it. It could be both the person and the estate. There are many types of trusts. A trust is often a component of an estate plan. A properly written and executed trust means one can avoid probate and the need for a conservatorship should the need arise. Learn more about a Trust on the trusts page of our website. What’s the Difference Between Wills and Trusts? These two documents are part of an estate plan. Having a trust avoids probate and a Will alone does not. The legal documents are complex. The more assets we have the more complex the document becomes. There are free wills and trusts forms available online. Estate planning for dummies can be purchased as well. We recommend hiring a local attorney for wills, trusts and other related estate planning documents.